Tickets *€10 incl. booking fee are now on sale from the WAV box office. A no nonsense, in your face, straight up, top class live outfit from Manchester. No matter what your taste is this band is undeniably music as music should be…ACE! Anthemic, “self styled dirty garage pop” [Louder Than War] and one of the most exciting bands to come out of Manchester at the moment. Gaining not only a solid fan base but much respect from gig goers and other bands on the Manchester circuit, The Tapestry are creating somewhat of an electrifying buzz. Their post punk, upbeat, infectious tunage and exciting and energetic live performances is what’s doing the talking and promoters like us are getting our heads turned by them. With tracks like Right As Rain, Infatuation, and We Talk we’re sure you’ll go home June 18th with a new band in your back pocket, a grin on your face and some catchy lyrics floating about the noggin that only a good gig and night out can give you. Liam Gallagher – “F$%king tunes”. The Temps (Owen Soper, Alex Smirnov, Luke Crehan, Conor Kennedy) are a young four piece indie band from South Dublin. Formed 2 years ago in school, the original purpose of the band was just to explore their love of music, both listening and playing. But after 2 years of gigging in numerous venues such as Sweeneys and The Workman’s Club in Dublin, they found their sound and released a 5 track EP on SoundCloud, which saw them increase their fan base significantly. Through the success of the EP, they made it into The Top 20 emerging music acts of 2015 as chosen by the RTÉ John Murray Show panel. Building on this, they featured on Balcony TV Galway and played Sober Lane in Cork as part of the music festival 96/1. They then went on to play a packed out Button Factory in February with the Sound Training college Dublin and are set to release a new single in the summer recorded in Temple Lane Studios. 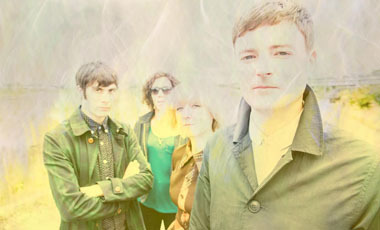 But this will be their debut at Whelans with The Tapestry. Their sound is based on catchy hooks and licks, they are vibey, enjoyable and easy on the ears.